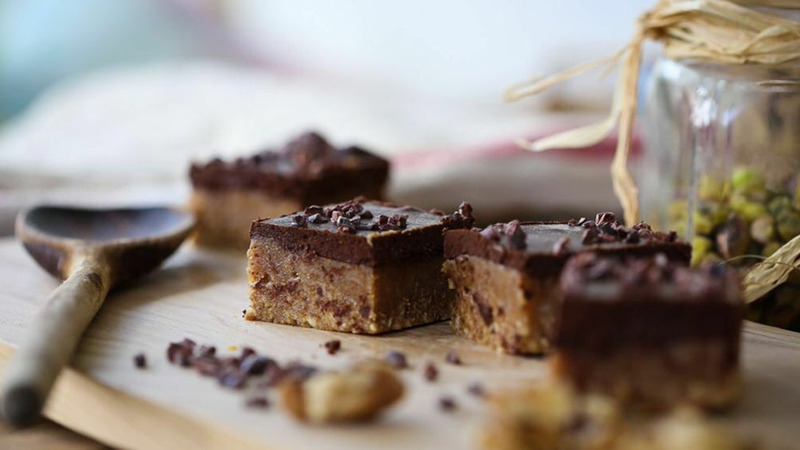 Packed full of plant protein our raw millionaires shortbreads are the most delicious protein snack we’ve ever tasted. It’s crazy that ingredients like these can make such a great tasting cake. 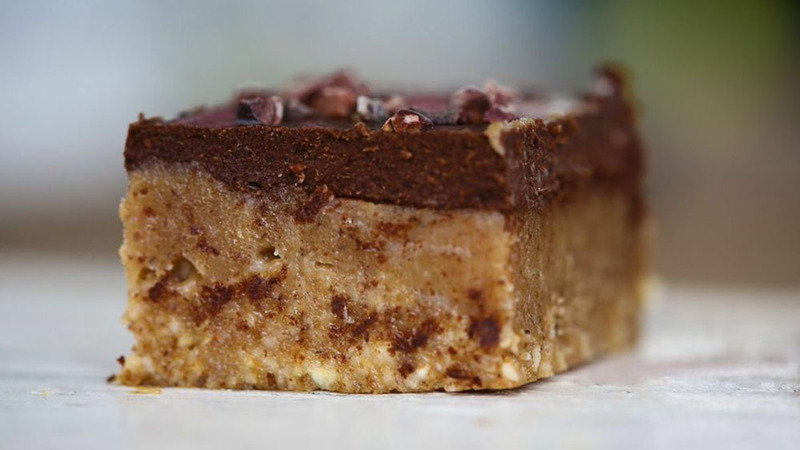 Caramel, shortbread & crunchy chocolate topping what’s not to love! Blitz the cashews in a food processor till the resemble bread crumbs then add the remaining base ingredients and blitz till the consistency of cookie dough. Push into the base of a 7 inch square loose bottom tin. Pop into the freezer. Blitz all the caramel. Layer ingredients together till thick and caramel sauce like. Pour into the base & return to the freezer. 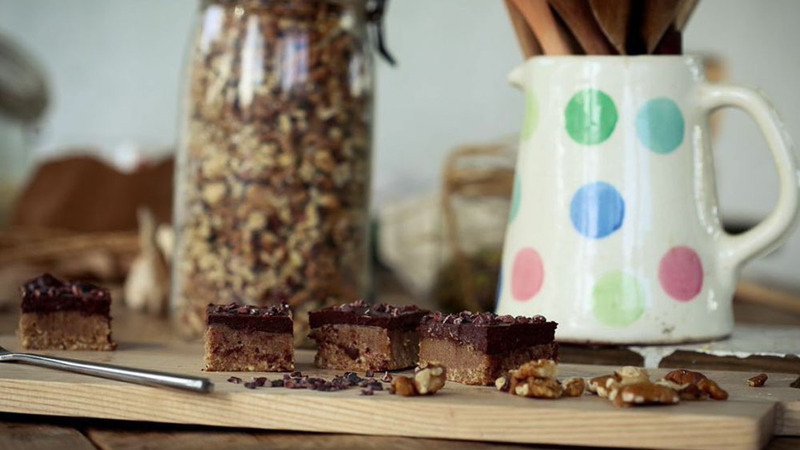 Gently whisk together the topping ingredients except the cacao nibs. Pour intop if the caramel then scatter the nibs over. Freeze till set, about 2 hours. Remove from the tin & store in the fridge.